Quick, take a look below and what do you see? 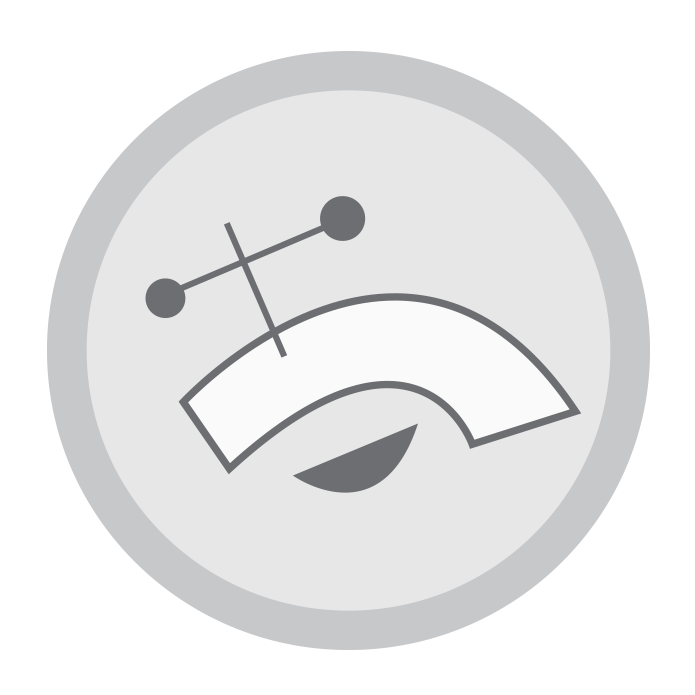 Over the last 10 years or so there have been a handful of people who see a ‘sad face’ or ‘grumpy old man’ when they see the Spigot logo. Perhaps less than a dozen, that have brought it to my attention at least. What did you see? Just a logo or a sad, sad, man? Just a little feedback, your logo makes me sad. That’s what I think of anyway – a sad face. Might want to look into it. It may be a subliminal message to potential clients. Tony’s point of subliminal messaging and its potential effect on potential clients is valid. Maybe. For a few, the sad face is all they see. For most, though, it’s only seen when pointed out. And then they have a hard time seeing it ever again. Or so I think. It’s like a Rorschach test. With meaningful, or meaningless answers. I really have no idea. I discovered your website while reviewing the Web Designer\’s Idea Book Volume 3 and I have to admit that at first I thought the logo was an angry face. It wasn\’t until I read the name of the company again that I realized it represented a spigot. While I look at it now I still see an angry face. Well Trevor, you\’re not alone. In the last couple of days quite a few more have pointed out the sad man. Or angry man. But interestingly, most have not thought that changing it would be a good idea. They liked their ah-ha moment with it.